Do you need to manage your customer accounts and get better insight into sales? 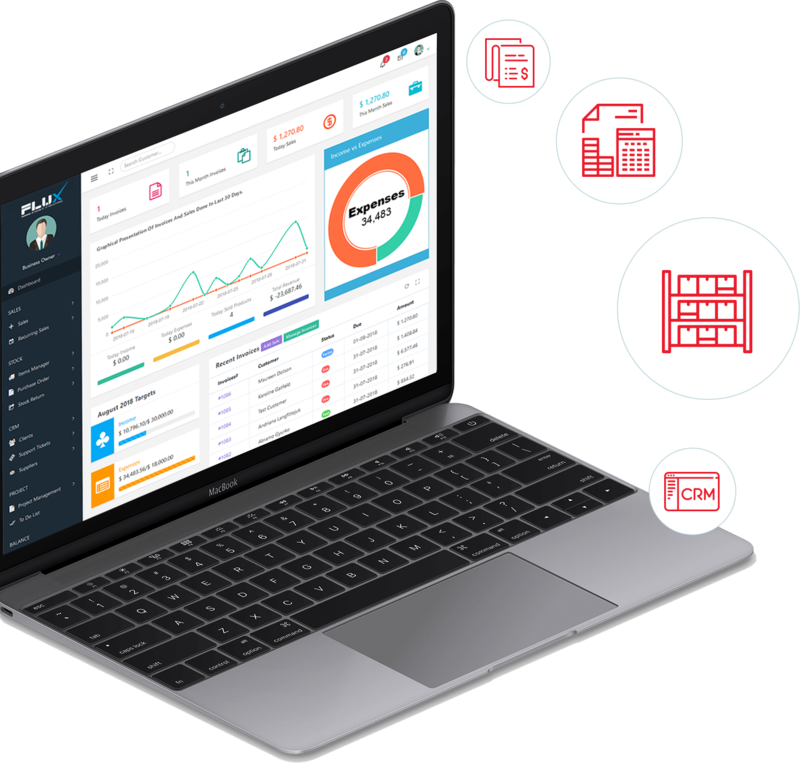 Effortlessly sell, manage, report and grow your retail business in every way with Flux’s unmatched POS, multi-outlet retail and inventory management system. • Set up multiple businesses in the application. • No restriction on numbers of businesses. • Inventory & accounting information is kept separately for each business. • Manage all of them at the same time. • Stocks, Purchases, Sales can be tracked differently for locations. • View details of transactions with a contact. • Manage Single & Variable products. • Classify products according to Brands, Category, Sub-Category. • Add SKU number or auto-generate SKU number with prefixes. • Get stock alerts on low stock. • Auto calculate selling price based on purchase price and profit margin. • Product variation template to use it every time you need to create variable products. • Add purchase for different locations. • Get Notified of Due purchases week before the pay date. • Add new customer from POS screen. • Customize invoice layout and invoice scheme. • Analyze expenses based on category and business locations with expenses report. • Set currency, timezone, financial year, the profit margin for a business. • Predefined barcode sticker settings. • Easy 3 steps installation. Always know where you stand using full or partial inventory counts, and easily balance and transfer your inventory between locations. Quickly add products one at a time or by the thousand. We’ll make sure you always have the right things to sell, in the right places, at the right time. Add new sales channels and locations at the click of a button. Check on stores like you’re always there, even when you’re not. Connect to other apps – or build custom integrations – to manage your whole business in the cloud. Flux POS is designed with the Operator and User in mind. The system is full of productivity features and activity work flows which must be carried out in retail organizations yet it is simple to learn and operate. Flux worked perfectly for our mart operation across multiple Select stores. We needed POS software that would provide visibility into operations, and help us manage multiple locations. The depth of analytics and insights provided by Flux’s POS app are unparalleled to anything else available in Pakistan. 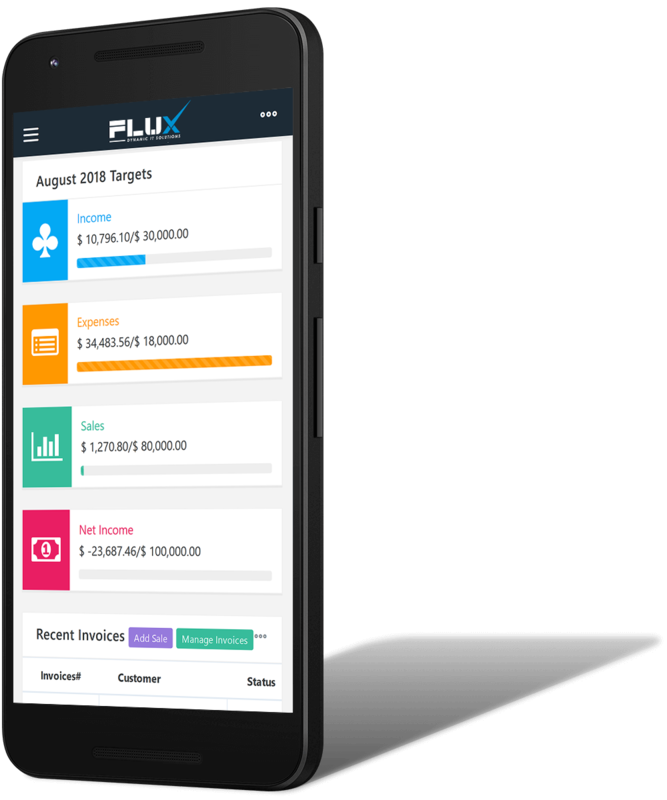 Flux gave us a new perspective on how a retail business can be streamlined. We never thought we could trust anyone with our business details. We thus took our time and decided to become their customer only when we realized that Flux is not just bunch of people but a proper company with an efficient and proactive customer service. We are glad we made this decision. 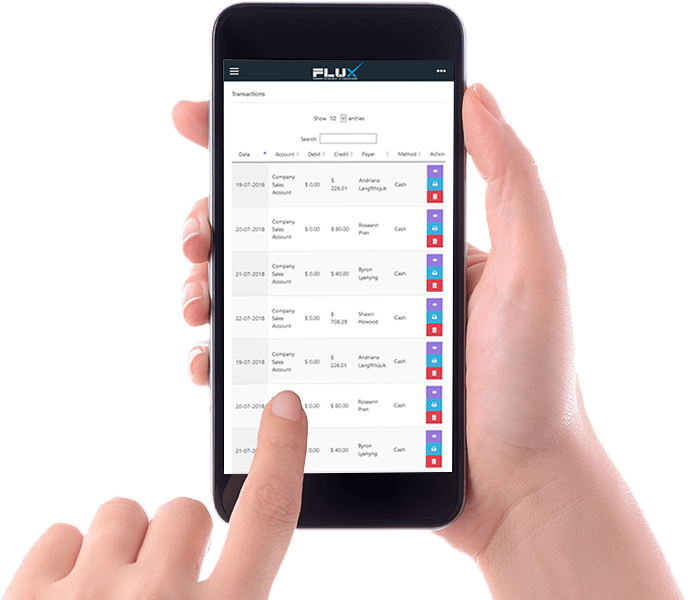 Flux POS is of tremendous help in managing our inventory and sales.